I get it. I'm good with computers. Perhaps I might be able to fix your computer. Perhaps I can fix any computer in the entire world. Alas, I have so, so many better things I could be doing. So maybe you could just, walk over there, and you know, fix it yourself. Peace out. 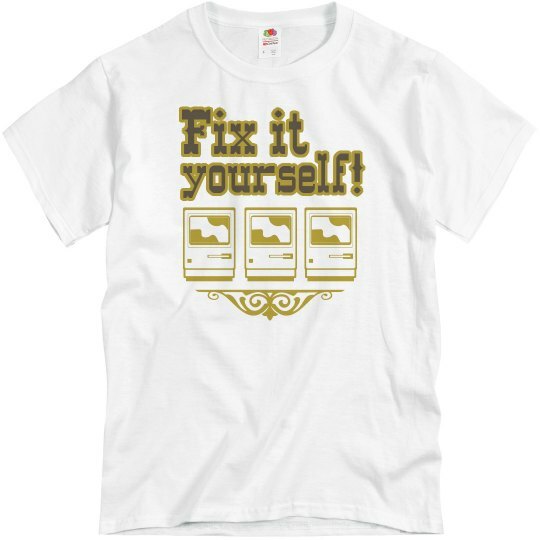 Custom Text: Fix it | yourself!